After being out of politics and the nation for 57 days , Congress VP Rahul Gandhi is going to make a comeback with a rally at Ram Lila Maidan against the Land Acquisition Bill. The Congress says the bill is anti-farmer and representatives of farmers from many states are expected to participate in the rally. 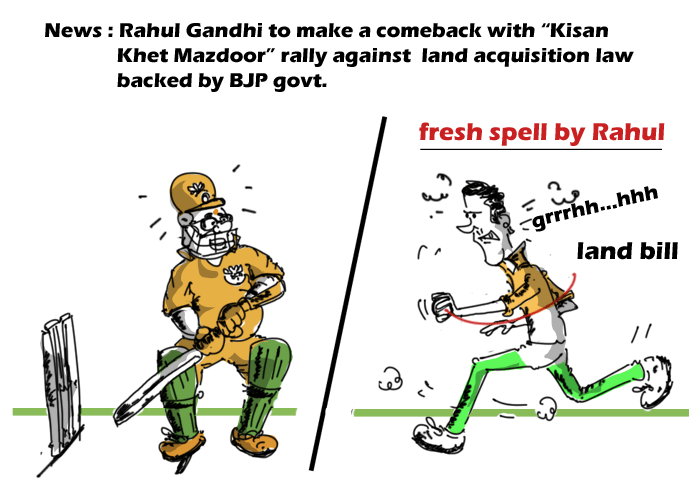 Rahul’s comeback may have given fresh hopes to few in the Congress, however, the revival of Congress seems a distant dream. Hey Jack ! quite a long time since you shared your views on my blog ! hope to catch you sometime soon !! Dude Jack Bhai…Kaha rehte ho aaj kal..Kya haal hai? 🙂 How are you bro .. I m to fine..lekin what abt u?